The lawyers battling to save rapper 21 Savage from deportation from the United States appealed Tuesday for compassion, casting him as one of the blameless 1.8 million "Dreamers" -- immigrants brought in illegally as children through no fault of their own. The 26-year old chart-topper -- real name Sha Yaa Bin Abraham-Joseph -- was detained in the southern city of Atlanta on Sunday by US Immigration and Customs Enforcement (ICE) agents who say he is British and has been living in the US illegally since overstaying his visa until 2006. "Mr Abraham-Joseph, like almost two million of his immigrant child peers, was left without immigration status as a young child with no way to fix his immigration status," his six attorneys said in a joint statement. "These 'Dreamers' come from all walks of life and every ethnicity. Mr Abraham-Joseph has no criminal convictions or charges under state or federal law and is free to seek relief from removal in immigration court." His legal team -- which acknowledges he is not a US citizen -- even raised the possibility that the musician was the victim of a vendetta by immigration officials angered by his criticism of US President Donald Trump's brief family separation policy at the US-Mexico border in 2018. "There continues to be no legal reason to detain Mr Abraham-Joseph for a civil law violation that occurred when he was a minor, especially when people in his exact situation are routinely released by ICE," they said. "Many have speculated as to possible ulterior motives for his arrest and detention, including that he released music five days prior to his arrest by ICE which included new lyrics condemning the behavior of immigration officials for their detention of children at the border." They acknowledged that he was British and lost his legal status in the US "through no fault of his own" in 2006, but added that his three children who are American citizens make him eligible for deportation relief. 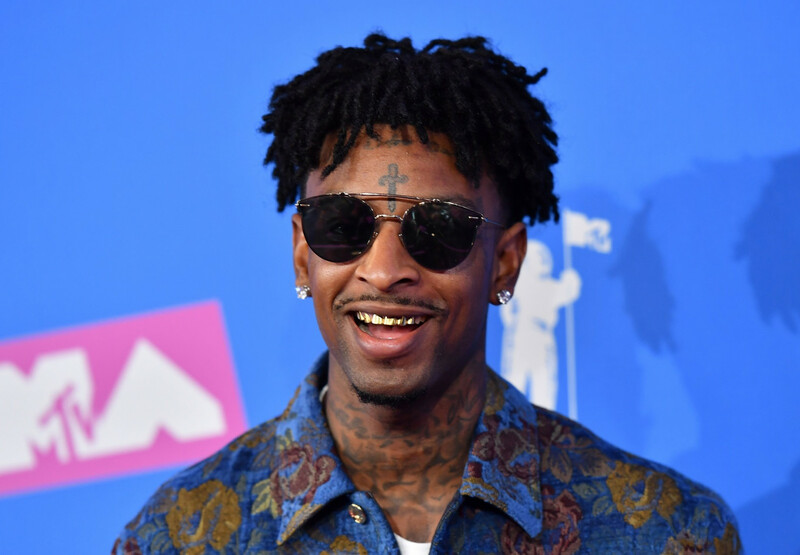 The rapper's team also says 21 Savage has a pending application for a U visa -- for victims of crimes who have faced mental or physical abuse in the US -- that was filed "as a result of being the victim of a deadly shooting in 2013." The musician's arrest sent shockwaves through social media, with a number of top artists backing the young rapper. Late Monday, rap superstar Cardi B -- who shares a child with rapper Offset, another southern hip hop act -- took to Instagram to speak up for 21 Savage's Atlanta credentials. "21 did not come here illegally and was not caught doing anything illegal or doing any mischief!" she said. "In fact he have change his whole life around and as ya can see he's been very positive in his actions and music."